A 51-year-old Maryland man was arrested for driving under the influence (DUI) after smashing into a state police patrol car, according to an article by NBC 4. This traffic accident occurred at approximately 1:30 a.m. on Saturday, November 11. At that time, a Maryland state police trooper stopped to help another driver change a flat tire. The trooper parked his patrol car and laid down road flares to alert oncoming traffic. That is when the 51-year-old man drove his car right into the rear end of the state trooper’s patrol car. The state trooper was injured and subsequently rushed to University of Maryland Prince George’s Hospital Center for treatment. No one else was injured as a result of this traffic accident. Police arrested the 51-year-old on a suspected DUI. While the man awaits formal charges, it feels like a great time to review Maryland laws and penalties for DUI and driving while impaired (DWI). Maryland DUI laws make it illegal to operate a motor vehicle while under the influence of alcohol. Maryland sets the legal limit for being under the influence as a blood-alcohol concentration (BAC) of 0.08 or more. Maryland DWI laws make it illegal to operate a motor vehicle while impaired by alcohol. This is a lesser offense than a DUI, with a slightly lower standard. DWI laws come at a BAC of 0.07 or more. Even if your BAC is less than 0.07 you can be charged with DWI when there is evidence that a person drives in a dangerous or reckless fashion. Maryland employs a tiered system to DUI crimes, with penalties increasing for subsequent convictions. The first DUI conviction can result in fines of $1,000, jail time of one year, a driver’s license suspension of six months, and interlock requirements. 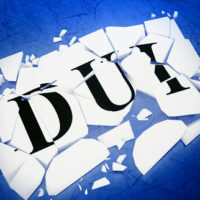 The second DUI conviction can result in fines of $2,000, jail time of two years, a driver’s license suspension of one year, and interlock requirements. Maryland also employs a tiered system to DWI crimes. The first DWI conviction can result in fines of $500, jail time of two months and driver’s license suspension of six months. The second DWI conviction can result in fines of $500, jail time of one year and driver’s license suspension of one year. The criminal justice system can be a harsh place for anyone facing charges for DUI, DWI or other charges. Massive fines can upend your financial situation. Prison time takes away your freedom and leaves you with a criminal record. 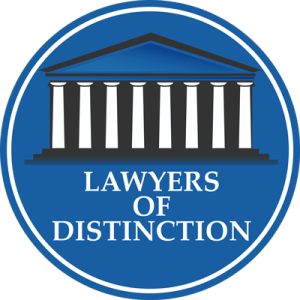 With so much at stake, it is highly desirable to seek legal help from a skilled criminal defense attorney. 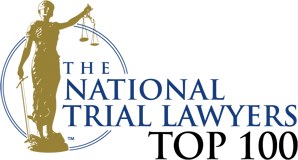 The attorneys at Schlaich & Thompson, Chartered in Bel Air, Maryland have significant experience in matters of criminal law. If you need legal help with criminal defense, we can help you fight the charges and protect your rights.